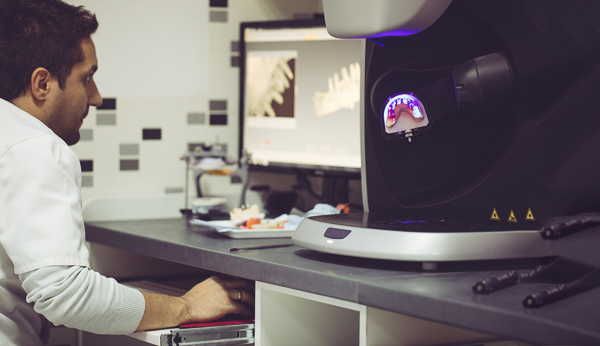 Ryan says that 3D printing of dental appliances is not only accurate, but it is quick, helps to streamline the making of high quality polymer-based dentures and is far less messy than creating plaster models. It also reduces the amount of material required and is a rather more pleasant experience for patients. Dentures Plus is located at 396 Innes Road, phone 03 385 5517. Opening hours are Monday to Thursday 8am to 5pm and on Friday 8am to 2pm. 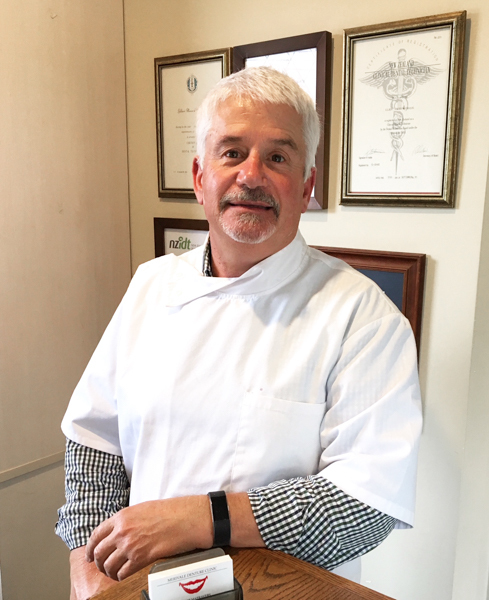 Getting dentures can be a daunting prospect, and the last thing patients want is a generic, or ‘horsey’ smile, says internationally renowned clinical dental technician, Richard Greenlees of Christchurch practice, Lovebite. As a reference while he works, Richard often uses his patients’ own photographs showing their natural smile. His dentures are like artworks, with each tooth individually crafted with colouring and small nuances to match his patients’ individuality and character. Not only do Lovebite teeth look real, the whole structure and shape of a patient’s face is transformed with Richard’s top-of-the-line dentures – which feature his signature ‘denture lift’. “With appropriate facial support, the facial tissues are brought back into the correct position, lips are reformed and beauty is restored,” he says. Characterisation of the teeth and gums on this stunning Lovebite denture has created an incredibly natural looking smile. It is the interior architecture of a Lovebite denture that helps to create a more youthful appearance by recovering the face and skeletal shape that can be lost after years of wearing old dentures. To achieve these results, Richard has created world-leading techniques, which are now internationally recognised. He is regularly asked to lecture worldwide, and in April was the keynote speaker at the international DTG Symposium in Frankfurt, where he demonstrated his unique methods on a Christchurch patient, flown to Germany by the event organisers. His vast experience includes 15 years running his own clinic in the prestigious Harley Street, London, where he treated people from all walks of life, from barrow boys to the rich and famous, politicians, actors and musicians. 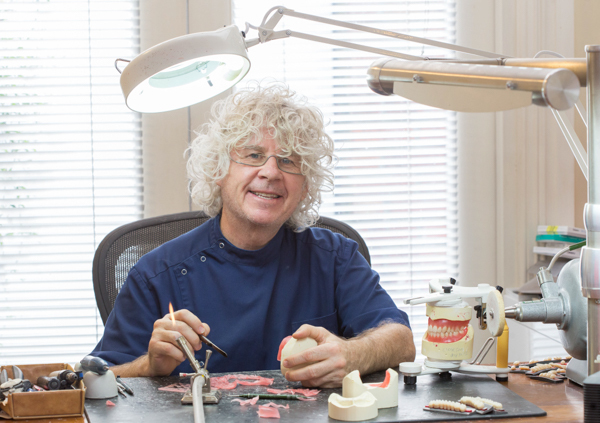 In addition to dentures, Richard also carries out crown and bridge, veneer and implant work, in conjunction with like-minded dental surgeons who complement his creative and aesthetic work. There is nothing more satisfying for Richard than to see his patients leave the Lovebite studio with a beautiful new smile, and their self-confidence and identity restored. 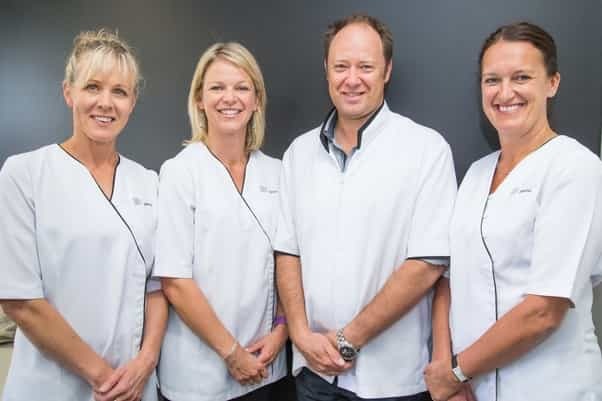 For more than 40 years, the team at Merivale Denture Clinic has been transforming the smiles of thousands of denture wearers. Situated on the corner of Papanui Road and Mansfield Avenue, and with a branch in Nelson, patients come from far and wide based on the clinic’s reputation for making superior dentures. Whether you are a first time or experienced denture wearer upgrading, have teeth and gum failure in your twenties, or are middle aged with missing teeth, the team at Merivale Denture Clinic can explain your options, the creation and fitting process, and put you at ease. Practice Manager Ottilia says new full or partial dentures transform the look of your face: people often don’t realise the effect of aging or worn dentures, or missing teeth. A 20-year-old set of dentures might fit like favourite old slippers, but they won’t necessarily look great and could cause problems, which can take longer to correct if left untreated. These days there is so much importance placed on having nice teeth and there is no need to put up with a gappy smile with so many budget-friendly solutions available. Modern technology and techniques mean that adjusting to new dentures is easier than in the past. The team makes sure your new dentures look natural, enhance your smile and facial structure, and have optimum function. Ottilia says it’s very rewarding to see the improvement in every patient. Let’s not forget our bottom teeth. Research tells us that whether you had braces or not and whether you have wisdom teeth or not, your bottom front teeth will crowd with age. As the teeth concertina up at the front they can cause extra pressure onto the back of the top teeth when you bite together and then move or chip your upper teeth. Crooked teeth are more difficult to clean and your gum health can deteriorate. With age you also show more of your bottom teeth and less of your top teeth as gravity takes its toll. 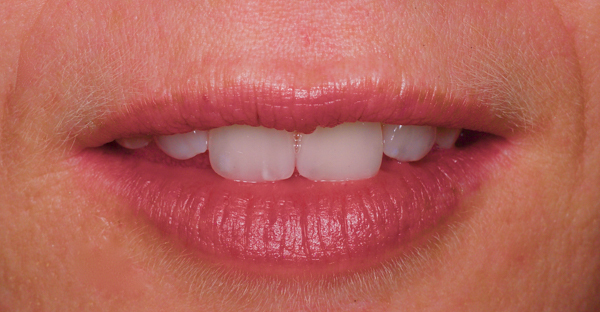 So the bottom teeth are more visible when you talk or smile. For these reasons it is now recommended internationally that the retainer wires that are placed after braces are left there forever and replaced if needed. If you notice your bottom teeth crowding as an adult, modern orthodontics can correct the problem in as little as eight weeks. Often invisible braces are an option. Once the bottom teeth are straight, any chips or wear on the top and bottom teeth can be replaced and that lovely youthful smile can return. Duxton Dental’s expert team can also discuss reliable tooth whitening options for the return of that extra sparkle. As part of a very thorough new patient examination, Duxton Dental completes a smile assessment to discuss all your cosmetic concerns and options. For more information visit duxtondental.co.nz or phone 03-348 5488. People may not be aware of any problems associated with their dentures. When issues develop slowly over time, they adapt and think it is normal. He says pressure and or rubbing can be quite painful, usually a result of chewing, but also clenching of teeth or bruxism (grinding the teeth). Other concerns may be hard foods, like small seeds getting underneath dentures, or denture teeth that need adjusting, relining or replacement. Worn or ill-fitting dentures can make it hard to chew and eat properly. As the teeth flatten off over time, it’s harder to chew food effectively. Worn teeth also lose their height and bring the lower jaw up further, compressing the lips and giving the face a sunken-in look, more wrinkles and mouth sores. “Dentures need to be replaced to resolve this. Worn teeth can also lead to a sore jaw and headaches, as it puts more pressure on the joint and surrounding muscles.